This single storey brick home offers an easy care lifestyle on a small corner block in convenient location just a stroll to the shopping precinct. Open plan living plus internal access from garage for extra ease. The perfect set and forget investment that comes with a good tenant who are keen to stay. * A freestanding brick home on easy care block of approx 239m2. * Established gardens and lawn behind the picket fencing. * Open plan living with air conditioning. Internal access from garage. 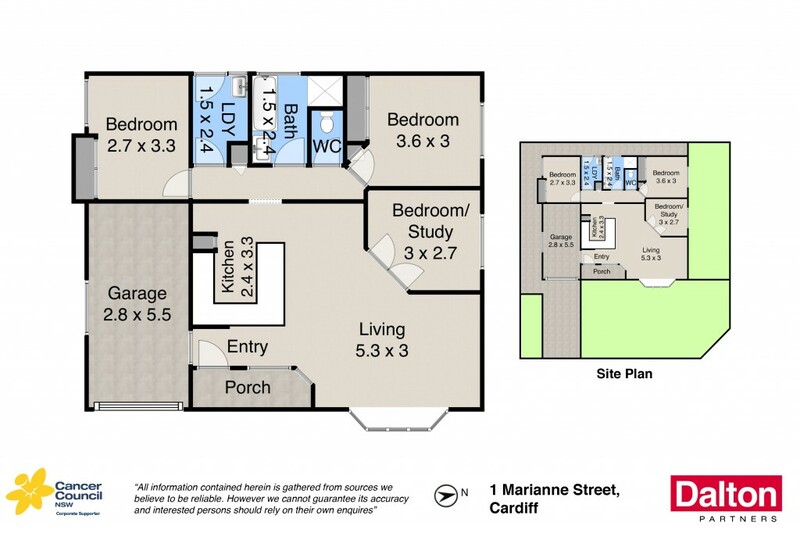 * Two large bedrooms with built ins, smaller 3rd bedroom or study. * Currently rented at $400 PW to good tenants who are keen to stay. * Vacant possession available if preferred to make this your home. * Easy walk to Cardiff shopping centre, buses and train station. * Low maintenance property ideal as an investment or home.